Bowing is a courtesy gesture performed especially in Asian cultures. The design of the Eshaku Hook was inspired by this gesture and literally greets visitors to the house. 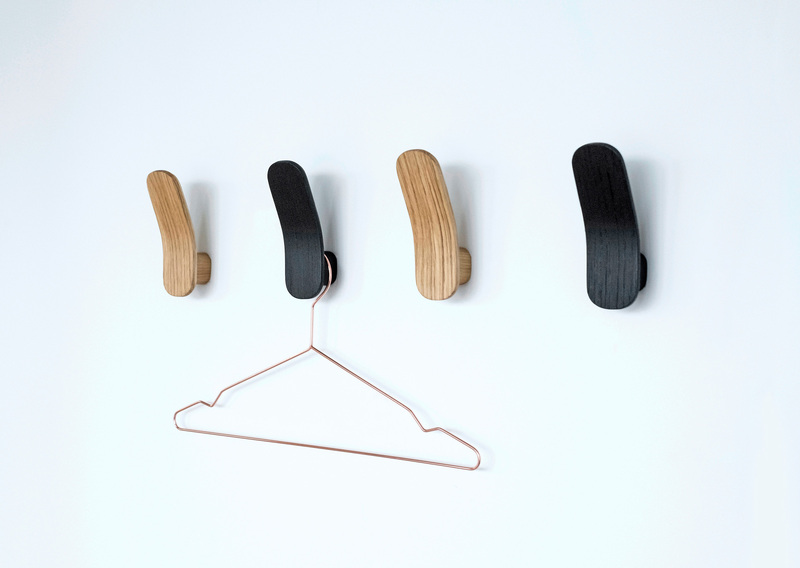 Made of oak wood and available in two different color finishes, either natural oiled or black stained, the hooks inspire individual arrangements on the wall. Clothes, purses, umbrellas, hangers, just about anything can simply be hung on the hooks. Bowing is a courtesy gesture performed especially in Asian cultures. 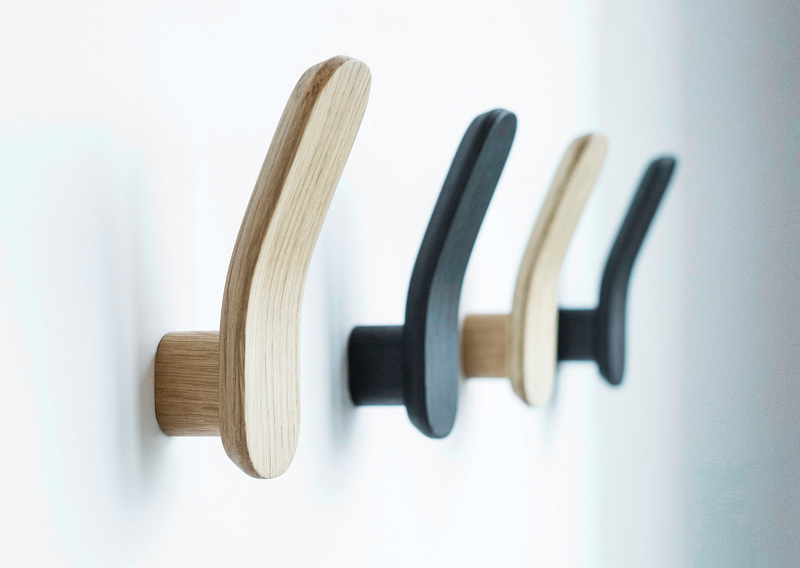 The design of the Eshaku Hook was inspired by this gesture and literally greets the visitors of the house.